MANILA - Foreign Affairs Secretary Alan Peter Cayetano on Tuesday insisted that the administration is transparent in handling issues concerning the West Philippine Sea, disputing the statements of former President Benigno Aquino and Vice President Leni Robredo. Cayetano said the administration has offered briefings to Congress and Acting Chief Justice Antonio Carpio, who was part of the team that argued for Manila before the arbitration court in its petition against China over maritime rites in the South China Sea. 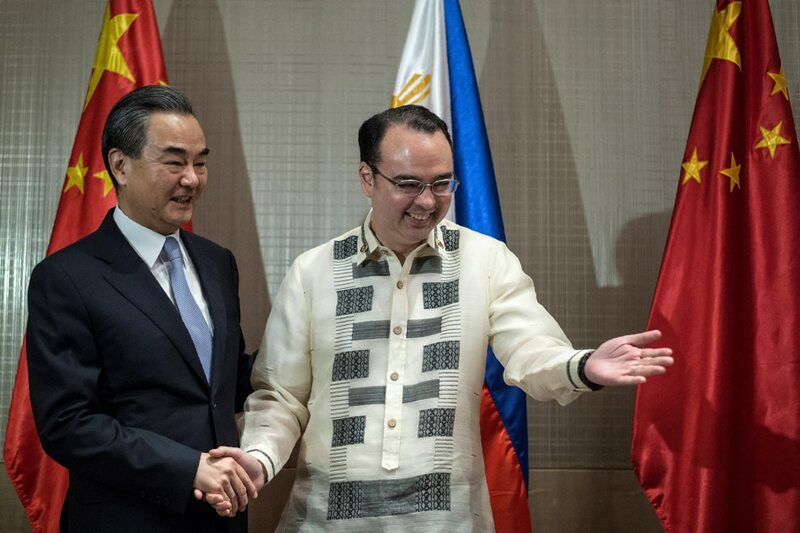 Cayetano said Aquino and Robredo were being given “wrong information,” as he stressed that there were “no secret meetings” and “no secret deals” with China. He then asked if the Aquino administration was transparent with the role of Senator Antonio Trillanes as negotiator in talks with Beijing, which led to the withdrawal of Philippine forces in Scarborough shoal. He said that while the two administrations are not enemies, the Aquino administration’s strategy “did not produce results” as it hindered Filipino fishermen from accessing the shoal. Cayetano said the administration has a “principled, patient, prudent and purpose-driven foreign policy” without abandoning the country’s sovereign rights. He said the Duterte administration is working on a framework for possible oil exploration with China where companies can work on a commercial level without damaging the country’s claims. Cayetano reiterated that the framework will not go beyond the Philippine Constitution and follow as a standard the Malampaya 60-40 sharing of revenues for the Philippines. He said the Chinese “seems amenable” to it. Both sides have exchanged principles but not the draft yet. He said the draft will undergo review and experts on international, Constitutional law and oil gas will be consulted and that the country will make sure it passes the scrutiny of the Supreme Court. He said exploration is doable and that it will be done in a way that will not damage each other’s claims. He hopes to have a draft by August or September.